Step 1: Purchase a �LEGAL/COURT ADMISSIBLE DNA Grandpaternity Test� from below. If you would like to split the cost into 2 separate payments, please give us a call at 1-877-362-1362. Keep in mind, we would not be able to release the results until the final payment has been completed. Step 2: We will setup an appointment for the child & alleged grandmother and/or alleged grandfather to go in for a simple cheek swab collection. The process takes about 15-20 minutes. We are affiliated with over 2500+ certified drawsites nationwide. These samples would then be express mailed to our laboratory. 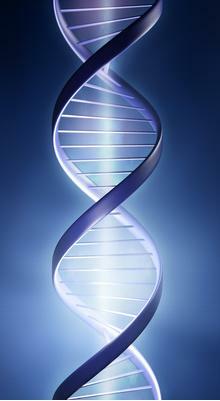 Our LEGAL/COURT ADMISSIBLE DNA Grandpaternity Test is just $595. If you need to test more than one child, they can be included in the testing process for an additional fee of $150. The first thing you need to determine is if you need a non-legally binding result or a legally binding result. A non-legal DNA avuncular test would be just for your curiosity and would not be able to be used for any legal matter. A legal DNA avuncular test result would be if you need the information for child custody, child support, a name change, court, etc. The two parties that are required for testing are the child & alleged aunt or alleged uncle. The mother is not required to be tested. The results will be defined as a likelihood percentage. Our lab will continue to test additional genetic markers until a definitive result is achieved. Step 1: Purchase a �Non-Legal DNA Avuncuar Test� from below. If you would like to split up the payments into 2 payments, please give us a call at 1-877-362-1362. Keep in mind, we would not be able to release the results until the final payment has been completed. Step 2: We will USPS priority mail you out the simple cheek swab collection kit directly to your home. The kit will come with simple instructions on how to collect the samples yourself. We also will include a prepaid express UPS envelope for the return. Step 3: Once we receive your samples the turnaround time is 5 business days. Once the results are competed, we will call you, email you, and mail the documents to the address(s) you specify. Our Non-Legal DNA Avuncular Test is just $295. If you need to test more than one child, they can be included in the testing process for an additional fee of $100. Step 1: Purchase a �LEGAL/COURT ADMISSIBLE DNA Avuncular Test� from below. If you would like to split the cost into 2 separate payments, please give us a call at 1-877-362-1362. Keep in mind, we would not be able to release the results until the final payment has been completed. Step 2: We will setup an appointment for the child & alleged aunt or alleged uncle to go in for a simple cheek swab collection. The process takes about 15-20 minutes. We are affiliated with over 2500+ certified drawsites nationwide. These samples would then be express mailed to our laboratory. Our LEGAL/COURT ADMISSIBLE DNA Avuncular Test is just $395. If you need to test more than one child, they can be included in the testing process for an additional fee of $150. In the event that the alleged father is unavailable for testing, but you can retrieve an acceptable non-standard sample of his DNA, accurate paternity test results can still be generated. Non-standard samples include hair w/root, bandage, ear swab, toothbrush, etc. Click here for a list of acceptable non-standard samples. If you will be utilizing a non-standard sample as a means of determining paternity, please call us at 1-877-362-1362. We handle these types of cases on an individual basis.